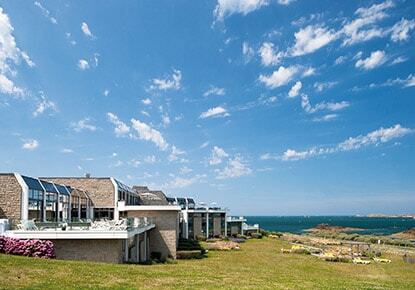 Novotel Thalassa Dinard, natural spa therapy! 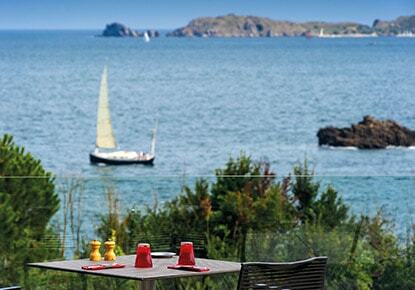 Rest and recover at the Thalassa Dinard thalassotherapy spa in a four star **** Novotel property with 106 rooms overlooking the sea, with 67 further garden-facing rooms, located between Mont St Michel and Cap Fréhel on the outskirts of Stg Malo and the St Briac golf course, with a thalassotherapy institute and a spa treatment program, a varied selection of massages to choose from, as well as a covered warm sweater swimming pool that overlooks the sea, and five naturally light meeting rooms, free parking and Wi-Fi. 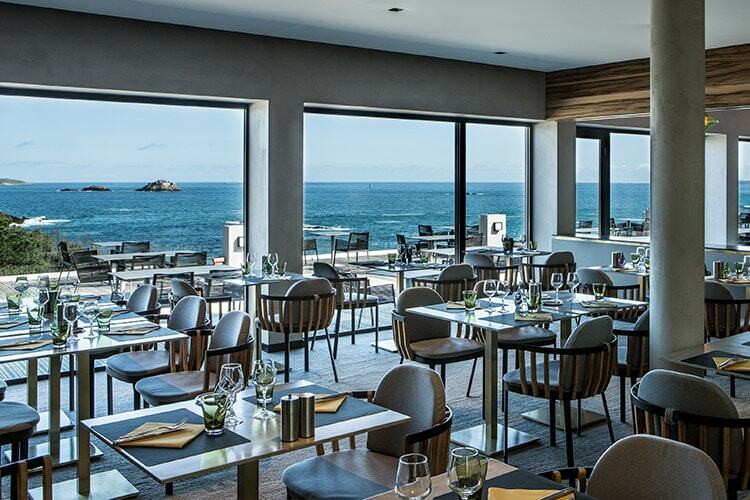 During your stay in Brittany for leisure or at the spa , enjoy delicious and healthy cuisine from the hotel restaurant, and spend some time at the bar while enjoying the beautiful view of the Bay of St Malo. 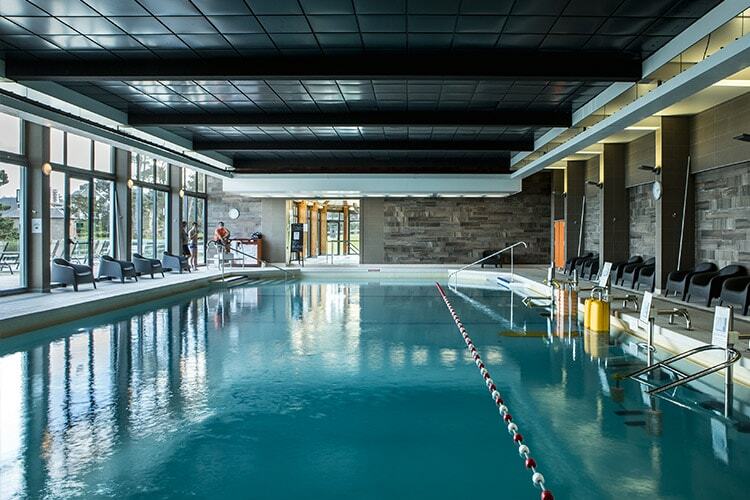 The fitness center is available to hotel guests from 8h to 20h , 7/ 7 including an indoor swimming pool with warm sea water , steam room, gym and sea routes. Spa (payable) : à la carte treatments 7/7. Meditation in the sunshine or a nap under a rug? 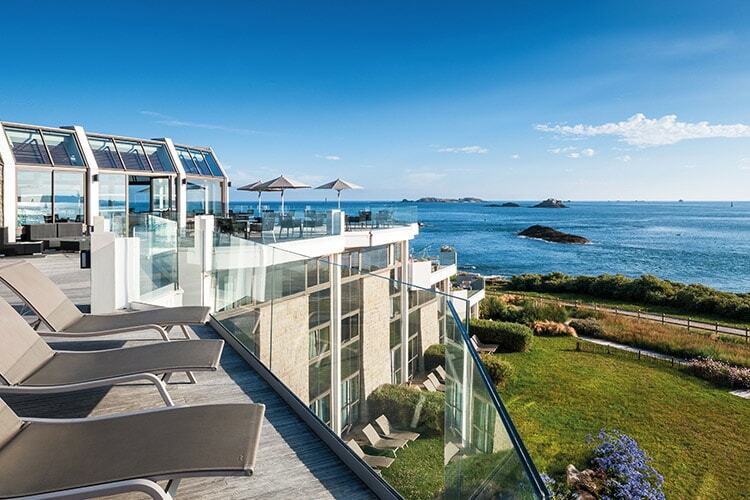 Between treatments, the sun loungers overlooking the bay await. 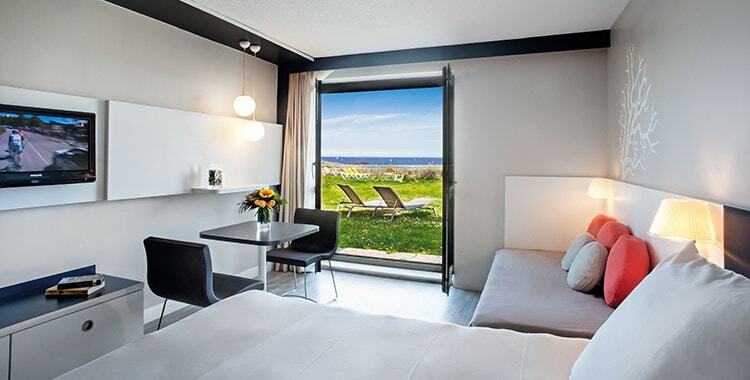 In the garden residences, there’s plenty of space and light, as well as light oak paneling, small kitchen facilities with refrigerator and microwave, and a ceiling formed from a boat sail. The decor is designed by Marion Faver. 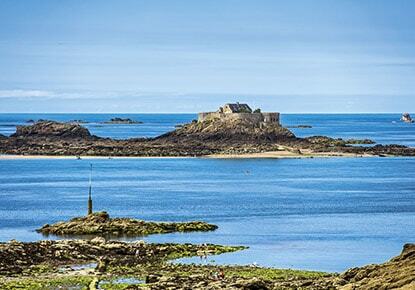 On the coastal side of the property, your room faces the Island of Cézembre or the Ramparts of Saint Malo, while providing you with contemporary standards of comfort. 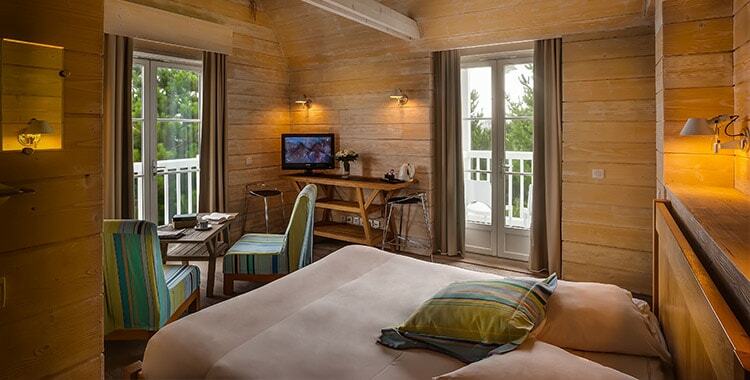 The decor is designed by Eric Gizard.